New Kat Von D Products to Launch January 15th, 2014! 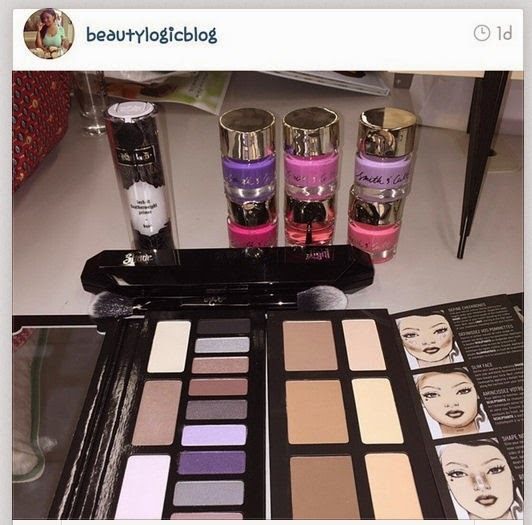 I have very little info so far except for this picture from BeautyLogicBlog on Instagram! Kat has some new stuff launching on January 15th. Now I know she also has katvondbeauty.com launching soon, so I'm wondering if this stuff will be new for her site launch? It was supposed to launch on October 30th and never did, so maybe there was a setback. At any rate, I want it all! The white stuff in the foundation packaging is primer. There's a double ended brush in a flippin' COFFIN CASE! Also, a new shadow palette with the same layout as Monarch and Chrysalis, and a contouring palette! This is all too much excitement for me right now. Is it January yet?? haha I knowww! I'm hoping for some Sephora gift cards for Christmas lol! Oh I love her tutorials! I wish she made them more often!